Tubbygaijin.com » Heading to Hyper Japan 2011! Hyper Japan is a 3-day show held every July in London. It’s referred to as the UK’s biggest J-Culture party, and this year I’m going! Kanon Wakeshima is a unique artist who combines cello, classical music, contemporary J-pop and goth-loli fashion, quite a mix! I’ve always wanted to see a Manzai act live! JARUJARU are Junpei Goto and Shusuke Fukutoku, together they are one of Japan’s top comedy duos. The Japan Media Arts Festival awards prizes for outstanding creative works in the fields of art, and will be showing 16 short films selected from their 2010 award-winners. Satomi Okubo, Zuma’s Head Sake Sommelier and one of the most knowledgeable sake experts in London will be giving insights on what to drink, how to drink it, and how to pair it. I’ll be getting lots of pics of the events and cosplayers over the course of the weekend, expect lots of quick photos and full posts when i get time. Also planning on heading to the Japan Center as I need a few bits and pieces, should be a great weekend! 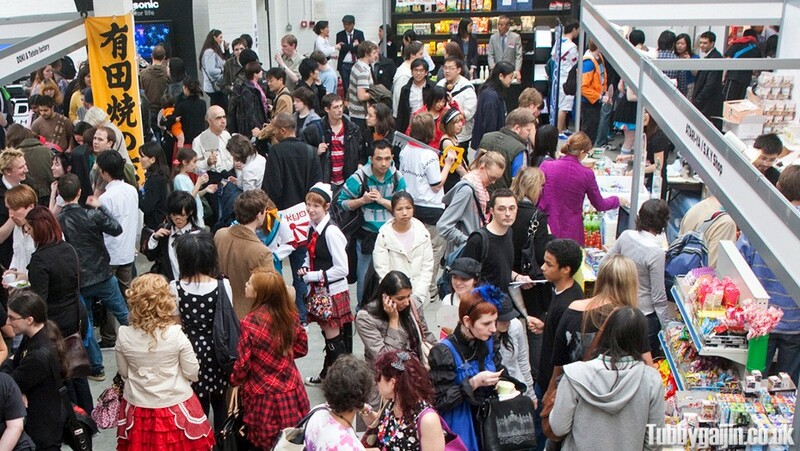 4 Responses to Heading to Hyper Japan 2011! It was quite possibly the worst event I have ever been to when I went last year. I felt cheated that I had actually given money to attend it. Hopefully it is better this year for you. MCM Expo is superior in every way. Hoping to go to MCM next year, does look very cool indeed! Took daughter on Saturday went early and we had an amazing time! Kanon Wakeshima was fantastic my daughter was well chuffed with the day. Glad you enjoyed it too! Saturday was a bit of a bust for me as I spent a fair bit queueing and missed Kanon. Managed to catch her shorter set on Sunday though which wrapped up the weekend nicely, great event!